I’m a little late in getting this blog up, but better late than never, right? In April we traveled to Walt Disney World so that my daughter could dance with her dance team in Disney Springs. It was a once in a lifetime experience for her and it was nothing short of amazing! 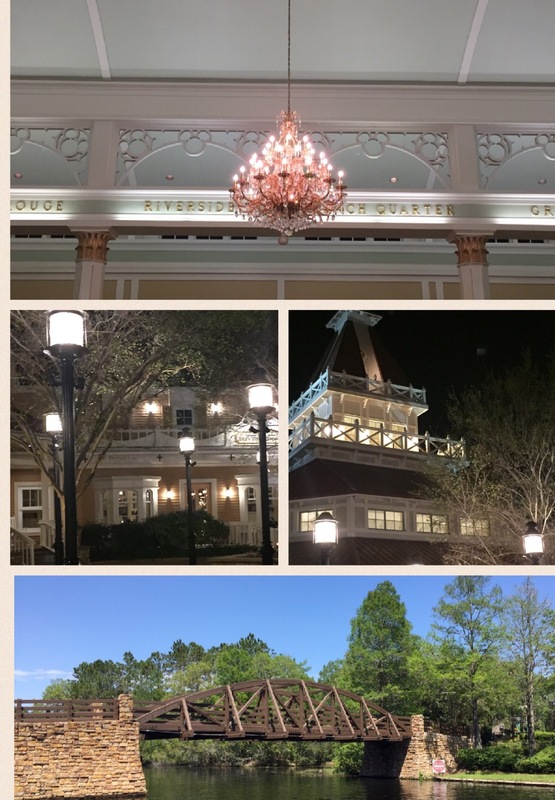 We stayed at Disney’s Port Orleans Resort Riverside. Upon arrival via Disney’s Magical Express we had some issues with check in, but that was nothing on Disney’s part but rather the travel company we had to go through since we were traveling with a performing group, but that’s another story! I loved this resort!! I have always enjoyed Disney’s Caribbean Beach Resort if we chose a moderate resort, but I can definitely say that I like Riverside just as much! We were booked in a Standard room and since we were traveling with a large group of people, we were all within the same building. We had a room with the pull down bed as well. Size wise it was very similar to the rooms at the Caribbean Beach Resort. I really like the curtain for the bathroom and vanity area that moderate resorts offer. I could get ready in the morning while the kids and my husband slept. We were in Alligator Bayou and it was quite a hike to the main building (around 10-12 minute walk). I would definitely recommend a preferred room if staying here, especially with children. The food court was nice with several different options. We really enjoyed walking around the resort at night especially. The boardwalk area outside the main building looks cool at night! It’s a short walk across the bridge to the Port Orleans Resort French Quarter if you’re wanting to explore and grab some beignets! I really enjoyed having boat service to Disney Springs. It gave us a break from the buses. Riverside shares boat service with French Quarter to Disney Springs. The boat ride was around 12-15 minutes and we really enjoyed it. We passed by French Quarter, the Tree Houses at Disney’s Saratoga Springs Resort as well as Saratoga Springs Resort during the ride. Bus service at Riverside wasn’t too bad. There are a few bus stops throughout the resort so your walk to a bus stop from your room shouldn’t be too far. We were around the corner from a bus stop so that was easy. Since we were so far from the main building and food court there were several times where we hopped on or off at the main building rather than the stop closest to our room. The main pool is really cool! Ole’ Man Island has a splash area for kids and entertainment throughout the day with fun games. My kids chose to utilize the quiet pool most days since it was closer to our room and less busy. Since this is a Moderate resort, you had to bring your own towels to the quiet pool, but the main pool has towels readily available for guests. Overall, I would and will stay here again, but will definitely spend a little extra and go for the preferred room.